Guardianship is a legal intervention put in place when an individual becomes incapacitated (by illness, aging, injury, or other factors), and they are unable to continue making life’s big decisions. Many of our clients have suffered brain injuries or have been diagnosed with mental illnesses, such as schizophrenia and bipolar disorder. In these situations, a Guardian can sometimes step in to care for them and make decisions on their behalf. Family members and friends commonly serve as Guardians. In cases where this is not possible and a professional Guardian is recommended, we are here to help. Additionally, the Corporation of Guardianship can provide Care Management and other services to support family Guardians in fulfilling their role. Do you or someone you know need help? To discuss your guardianship needs, please CONTACT US. Guardianship is a legal process, utilized when a person can no longer make or communicate safe or sound decisions about his/her person and/or property or has become susceptible to fraud or undue influence. A Guardian is a 1) person, 2) institution, or 3) agency appointed by a court to manage the affairs of another individual when that person is unable to manage his or her personal needs or property because of a mental disability. Guardianship is a commitment to be responsible for and protect the interests of an incapacitated individual. In many instances the intervention of the Guardian will remove a person from a situation where they are being neglected, abused, or exploited by others. How does the Corporation of Guardianship serve as Guardian? The Corporation of Guardianship serves as Guardian for the most vulnerable members of the NC community – those who are incapacitated and with no family or friends who can adequately meet their needs. The organization serves people who have developmental and intellectual disabilities, those with dementia, people who have suffered severe brain trauma, and adults who are incapacitated by mental illness. Beyond fulfilling the legal requirements of these services, we strive to deliver the greatest quality of life, autonomy, and freedom possible to clients under the law using a person-centered approach, based on the philosophy that choices made on another person’s behalf are to be enabling rather than restricting for the client. While traditional guardianship is system-driven, person-centered philosophy is a person-directed process that maintains focus on the positives of a person’s life, discovering gifts, skills and capacities of the individual, and staying mindful of the person’s priorities in life. As Guardian, we can help find a balance in people’s lives between what is important to them and what is important for them. The Corporation of Guardianship adheres to and follows the guidelines of the National Guardianship Association. What are the different types of Guardianships? Guardianship of the Estate – Gives the Guardian the authority to make all financial decisions for the individual. Guardianship of the Person – Gives the Guardian the authority to make day-to-day decisions of a personal nature, except financial decisions, on behalf of the individual. Such decisions would include making arrangements for food, clothing, living arrangements, medical care, recreation and education. Guardianship of Person and Estate (General Guardian) – Gives the Guardian the authority to make nearly all decisions for the individual, and combines the authority of guardianship of person and guardianship of estate. I am the Guardian of my disabled adult child. Can the Corporation of Guardianship serve as his or her Guardian when I’m no longer able? Parents can recommend the Corporation of Guardianship to serve as Successor Guardian for their adult son or daughter. It is important to speak to a professional attorney about how to formally make this recommendation in estate planning documents. What is the guardianship process? A Guardian must be appointed by the court. In order for someone to have a Guardian appointed to them, that person must be declared legally incompetent by the court, and therefore found in need of a Guardian. The person in question needs to be carefully examined by a medical, geriatric, or psychiatric specialist who can testify to the person’s incapacity. Someone must petition the local clerk of court to have the person adjudicated (declared) incompetent. Anyone who knows the person may petition, be it a family member, neighbor, mental health professional, Department of Social Services employee, etc. Do I need legal assistance in order to petition for guardianship? Officially, no – an attorney is not required in order to file a guardianship petition. However, entering court without an attorney is not for the faint of heart. Incompetency hearings can be difficult and adversarial. Seeking a qualified attorney’s assistance is recommended. The Corporation of Guardianship does not have any attorneys on staff, and cannot assist you in petitioning the court, although we are happy to discuss your situation and the possibility of serving as Guardian if the court approves one. 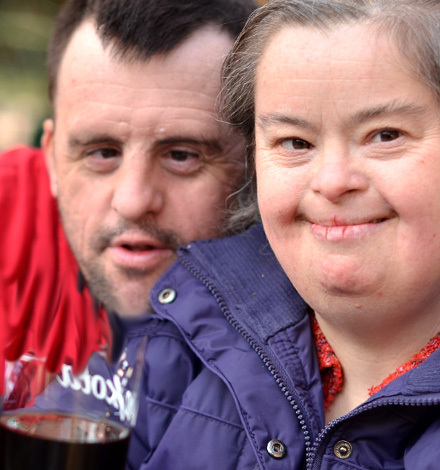 Because the appointment of a Guardian is an intrusive measure that takes away a person’s ability to make decisions about his or her life, other options which place fewer restrictions on the person with a disability should be considered first. These options include powers-of-attorney, trusts, representative payees, limited guardianships, and case management. Does the Corporation of Guardianship charge a fee to serve as Guardian? Yes, the Corporation of Guardianship is a fee-for-service nonprofit organization. Click here for our FEE SCHEDULE. By charging a small, below-market fee for the services provided for those who are able to pay, CoG is able to serve more clients with limited resources. Our goal is to serve as many people as possible who are in need of our services, including those who are unable to pay a fee-for-service. To discuss your financial circumstances, please CONTACT US. Gave Power-of-Attorney to an untrustworthy person.